In Healing from Depression, Douglas Bloch shares his struggle to stay alive amidst overwhelming despair and out-of-control anxiety attacks and explains how the power of prayer and other holistic approaches ultimately led to his recovery. As one of the millions of Americans who suffer from depression, Bloch could not be helped by so-called "miracle"� drugs. Therefore, he had to seek out conventional and alternative non-drug methods of healing. The result is a 12-week program that combines his inspirational story with a comprehensive manual on how to diagnose and treat depression, offering new hope and practical strategies to everyone who suffers from this debilitating condition. Complete with worksheets and goal sheets to customize individual plans, Healing from Depression is an accessible self-guided program for managing and recovering from depression. 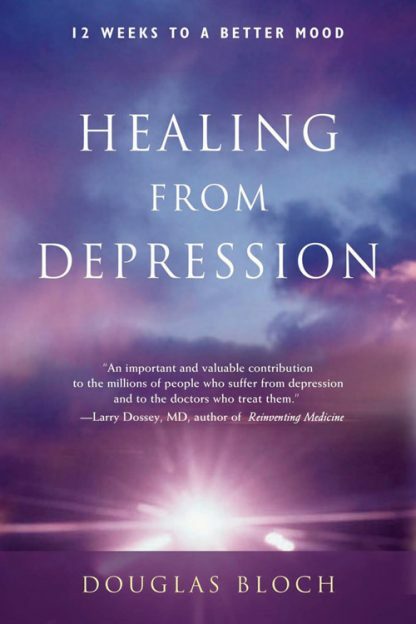 Acclaimed as a "life-line to healing," this important book stresses the importance of social support, on going self-care activities like relaxation, nutrition, exercise, prayer, meditation, support groups, therapy and keeping a daily mood diary and gratitude journal. Douglas Bloch is a counselor and teacher and the author of ten books, including his inspirational self-help trilogy Words that Heal and I Am With You Always.